At 81 years old, the bishop who once led hundreds of thousands through the streets of Hong Kong — defying Beijing, demanding democracy and an accountable government — is not holding his tongue. Hong Kong's retired Cardinal Joseph Zen warns of an impending schism in the Chinese Catholic Church and blames the Vatican for allowing Communist Party officials to run roughshod over China's bishops. The Vatican cannot live anybody's life for them. No, Mary, but the Vatican can and should support genuine Christianity w/o compromise. Let's face it, Mary. If the Vatican is unwilling or unable to discipline Cdl. 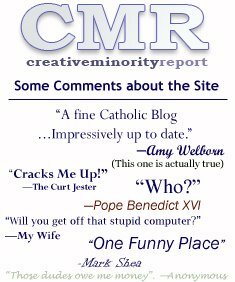 Wuerl for refusing to implement Canon 915 in his own archdiocese, or to do the same with the president of the German bishops' conference -- who said on German TV that Jesus did not receive God's anger for sin while on the cross -- then why should the Vatican support genuine Christianity in China? Let's face another fact: For centuries, the Vatican has used its political and financial influence as its prime tools. Using those tools means getting into bed with some unsavory characters -- and delegitimizing its own witness, as a result. As I've said before, I think Benedict resigned because he got fed up with fighting the entrenched bureaucratic intrasigence, and no longer had either the energy or the patience. At his age -- regardless of his health -- who could blame him? 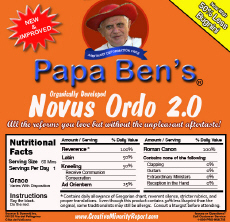 The Curialists and clericalists will support a papal candidate that will ensure the status quo. 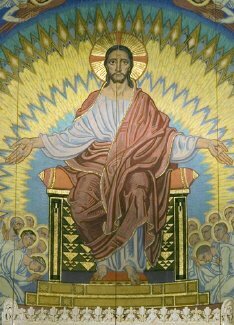 As Benedict knows all too well, they have the real power in the Church. The Vatican hasn't got any "financial" influence, Amazon Queen. Its budget is on par with the average state university. As for "political influence"...no, much better to be like the Orthodox and the Protestants, rubber-stamping whatever Caesar wants to do. Occasionally the Vatican has yielded to worldly power; that's the only thing other Christians ever do. Maybe if you knew Thing One about the history of Ireland, Poland, or Russia, you'd know that. Finally, given your previous remarks about the Church in politics, it's nothing but hypocrisy that you say capitulating to China's "Patriotic Churches" is bad—since that's exactly what you want the Church in America to be. Elect Cardinal Zen the next Pope and watch the commie scum squirm!